It can be hard to choose a scope. There are so many good choices on the market that it get’s confusing and hard to choose. You may find yourself asking, what is the best AR 10 scope? I’ve done the research, came up with my top picks and now I want to share them with you. My favorite scope for an AR 10, is the Nikon ProStaff 4-12×40 BDC Riflescope. 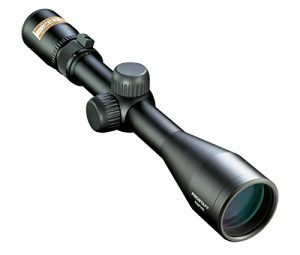 This scope gives you really great features at a great price. That is the main reason it is my top pick. 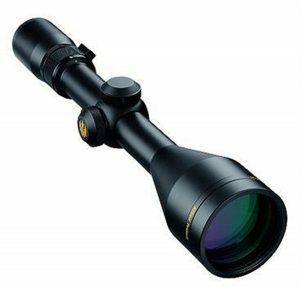 The features are similar to a high end scope and the price is like a mid level scope. Nikon has made their scopes to have crisp images, nice adjustments and this one has a generous eye relief to protect your eyes. There are a few things to keep in mind while you are selecting a scope for your Ar 10. I’ve listed a few things here. One thing to keep in mind as you are choosing your scope is that a .308 AR 10 has some recoil. 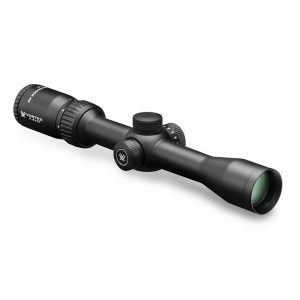 It has enough recoil that you should look for a scope that is durable enough to withstand it. Features such as the mechanisms inside the scope that move as you are adjusting, need to be able to withstand the abuse that comes from high caliber shooting. Most known and established companies manufacture scopes than can take the beating a .308 AR 10 will give. You may want to stay clear of any company that you’ve never heard of or are brand new. You will need to consider your shooting distance. Think about what you will be using the scope for over the next several years and use that as your guide. Since the .308 AR 10 has such an nice range, a 4-12×40 is the most popular scope for this rifle. The 4-12 is the magnification range. This scope has a minimum magnification power of 4x what is seen by the naked eye and a maximum of 12 times. The 40 is the size of the objective lens, in millimeters. This scope gives you a lot of versatility. It is great for both hunting and target shooting. 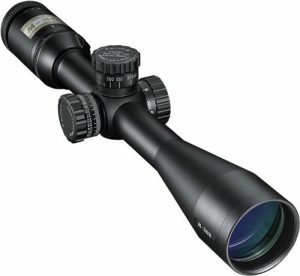 If you don’t think you will need this much power, the 3-9×40 is also another popular hunting scope magnification range. You will want to look at the different reticles on the market. They each have advantages and disadvantages, depending on how you use it. Simple, but quick and useful. Duplex reticles works great in low light and will give you the ability to extend your range. Duplex reticle is two crosshairs laid out with four quadrants. Mil dots let you range targets by using a mil-relation formula. The ballistic reticle is great for medium range shooting. This is just a simple sampling of the different types of reticles. You can check out all the different types as you are looking for your favorite scope. You really want to make sure your scope has enough eye relief, especially for high caliber rifles. You don’t want your rifle to jab you in the eye since it has a fair amount of recoil. Eye relief is the distance between your eye and the scope. There are two categories of scopes when it comes to eye relief. Short eye relief and long eye relief. Both kinds have a different design and use, and have advantages and disadvantages for the user. The difference between a short eye relief scope and a long eye relief scope is pretty major. Short eye relief scopes work better for long range or precision shooting. Long eye relief scopes are about hitting your target quickly. I, like most people, enjoy finding the most value I can for my money. I don’t want to buy cheap stuff that will break after a couple of uses, but I don’t want to overspend for something that I may not need. This policy will allow you to get more gear for the same amount of money, which will make you happy. There are a few companies who have really found how to balance quality and price. I recommend going with those companies. Let’s get on to our top picks. If you are new to scopes, I hope you have learned enough of the basics to feel like you can confidently choose a good scope for your .308 AR 10. Nikon is one of the world’s leaders in sports optics. This scope features an extremely bright sight picture, allows for high resolution images even in low light or other undesirable conditions. This is another nice scope that is loaded with features. This thing is durable since it is crafted with solid, one piece design, aircraft grade aluminum alloy. Dead Hold BDC reticle is custom designed to keep guesswork out of holdover and windage correction. This scope will give you longer range than the 4-12×40 scopes we’ve looked at so far. The lens is oversized and great for high caliber rifles. Of course, just like the other scopes listed, it is waterproof, fogproof and shockproof, and features multi-coated optics. If you want a little less range, than the ProStaff 3-9×40 is the way to go. This scope includes all the features for a great scope. Fully multi-coated optics, and precise ¼ moa hand turn adjustments. This scope gets you zeroed in quick, and on to shooting with accuracy. I’ve listed some great scope here for you to choose from. I listed a couple 4-12×40, and a 4-16×42 for longer range and a 3-9z40 for less power. They are all good scopes and any one of them could work for you depending on your needs in a scope. My top pick is the Nikon ProStaff 4-12×40 BDC. This scope it very high quality, won’t break the bank, and comes with a great warranty. 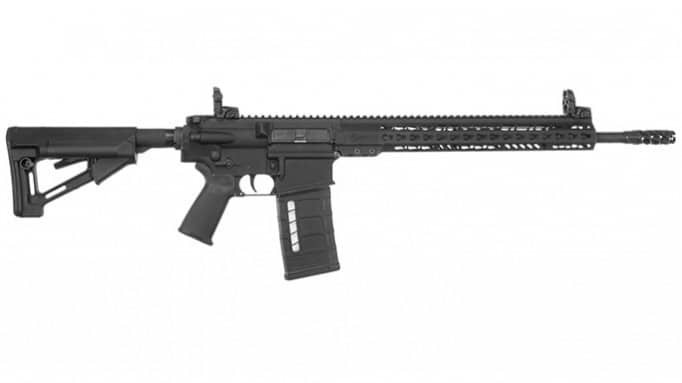 I hope this article has narrowed down your choices in scope for your AR 10. I hope you feel you could click on any of these links and purchase a great scope, at a great price, and start shooting with great accuracy. For more Gun Scopes reviews, visit our Gun Scopes Reference.